One of the things I have always loved about the direct sales industry is the innovative, unique products that are offered. When I first learned about Maganbilities I fell in love – who wouldn’t love being able to buy one piece of jewelry and have the ability to change the design as many times as you want to!? You can change it to fit your mood, your personality, your outfit, your event – you name it! With Magnabilities you can do just that – and for far less than you are probably imagining. Independent Magnabilities Consultant Kristi Knight sent me an original 1″ pendant and 18″ black twisted satin necklace along with 2 interchangeable magnetic inserts for inclusion in this year’s Diva Holiday Gift Guide. Maganbilities uses the power of magnets to let you change your look again and again. The offer jewelry which has places for both 1″ and 1/2″ inserts that come in dozens of designs. You simply choose your base, and then choose as many inserts as you want! Then, using their special little magnet tool you simply place the insert you want into the jewelry and voila! You are all set with a brand new look! The magnet holds securely until you use the magnet tool again to change it out! You could get one insert for every day of the month and never wear the same thing twice! 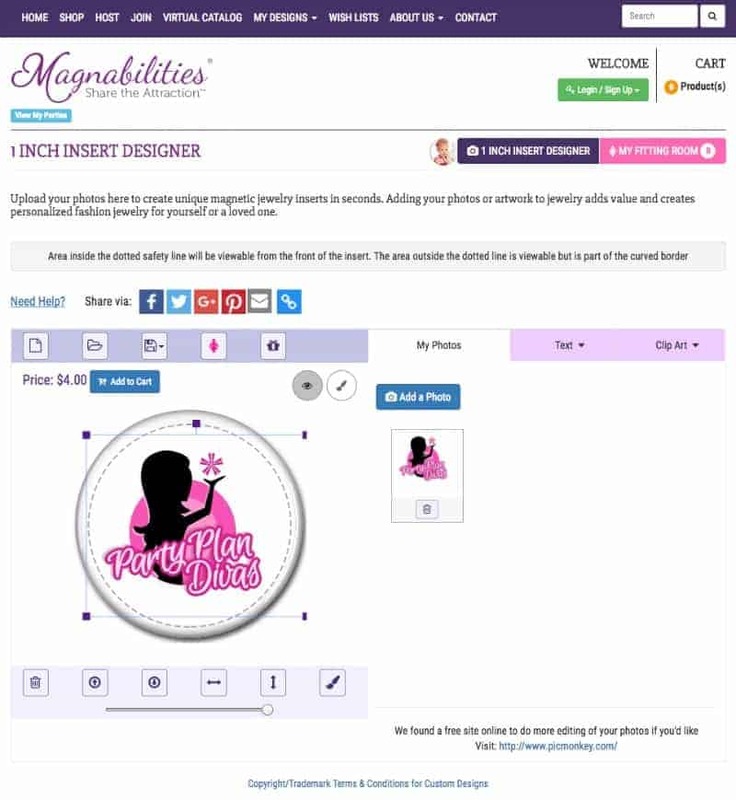 One my other favorite things about Magnabilities is their ability for you to design your own 1″ magnet insert! This innovative process makes the possibilities for your jewelry literally unlimited. You can upload pictures of your loved ones, your children’s drawings, landscapes – you could even upload your team’s name or logo for awesome and economical recognition gifts! 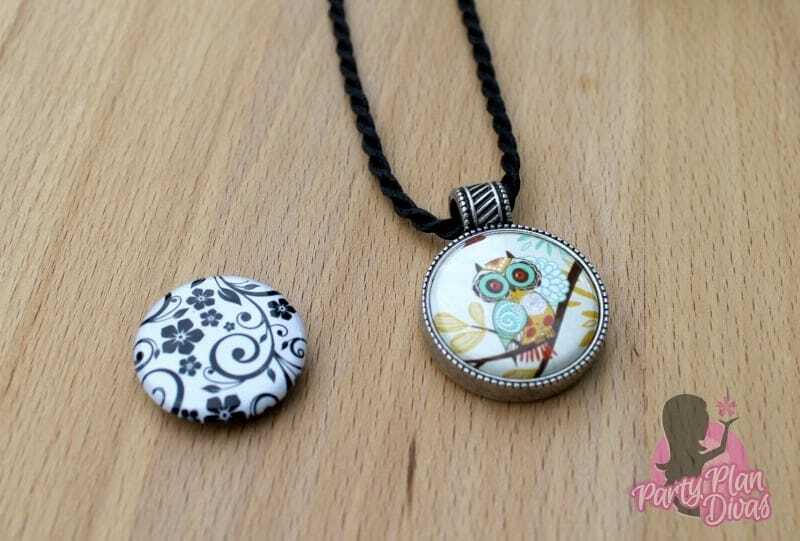 How cool would it be to do a team incentive and let people “earn” different level inserts to put into their jewelry!? So fun! I think I need a Diva insert!? With Magnabilities you can purchase fun, beautiful, interchangeable jewelry for you and your loved ones. As a Magnabilities Host, you can earn free and discounted products by sharing them with your friends. You can also join as a Founding Consultant in this ground floor direct sales business opportunity and make an income sharing this fun, unique product. You can check out everything Magnabilities has to offer by visiting Independent Magnabilities Consultant Kristi Knight’s website.